We all inevitably will be asked by patients what we can do to improve our eyesight. Although our need for glasses is hardwired in our DNA and cannot be “improved” by dietary changes, the eye is still an organ of the body and as such deserves to be kept as healthy as possible. In this way we can maximize our chances of glasses always being able to provide us will good vision. It’s easy to take our eyes for granted. It is no exception when we determine our daily diet. Just like the rest of our body, the eyes require proper nutrition. Our eyes have specific nutritional needs of which most people may not be aware. Good nutrition can enhance vision, reduce age related degenerations, and help prevent many other eye conditions. Here are the top 10 nutrients for healthy eyes. Vitamin C is found in vegetables and fruits like strawberries, oranges, broccoli and rose hips. Vitamin C may slow the progression of Glaucoma, slows the progression of macular degeneration, and may slow the progression of cataracts. 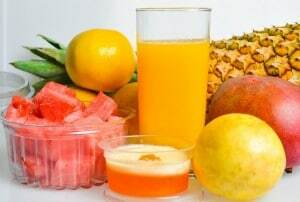 The Recommended Dietary Intake according to the National Eye Institute is 500mg / day. It’s found in sweet potatoes, carrots, butter, milk, and liver. Lack of Vitamin A may lead to a decrease in dark adaptation times and increased eye dryness. This is an antioxidant so it is good for aiding in the prevention of age related oxidative changes throughout the eye. The National Eye Institute recommended dose is 15mg/day. However, since it can significantly increase the risk of lung cancer in smokers, they recommend no vitamin A supplementation for smokers. Vitamin E is found in a large number of nuts such as hazelnuts and almonds. This vitamin reduces progression of macular degeneration and possibly cataracts. The National Eye Institute recommends 400 IU / day. The best source of Vitamin D is sunlight. A few minutes of exposure to sunlight every day will ensure your body produces enough amounts of Vitamin D. This vitamin is also found in salmon, sardines, mackerel and milk. Vitamin D helps reduce the risk of macular degeneration. Institute recommends 10mg / day of leutein and 2mg / day zeaxanthin. They are foundational building blocks for vision right from the womb. Studies show that omega essential fatty acids may protect the eyes from degenerative diseases, dry eyes, and macular degeneration. Food sources of omega-3 fatty acids include ground flaxseeds, walnuts and fish such as salmon, herring and mackerel. 1000 mg / day is recommended by the National Eye Institute. Zinc is a major dietary supplement recommended by the National Eye Institute to minimize the progression of macular degeneration. Oysters, lobster, and red meats, especially beef, lamb, and liver are excellent sources of zinc. Doses of zinc supplements can cause copper deficiency, therefore patients should insure their supplements containing zinc also contain copper. The National Eye Institute recommends 80mg / day of Zinc with 2mg / day of copper for slowing the progression of moderate cases of macular degeneration. 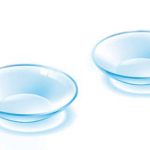 This is another indispensable type of mineral which is crucial for healthy eyes. It’s a type of antioxidant and its function is similar to that of Vitamin E and C. Lack of selenium may lead to early aging. Therefore, selenium is essential to the lens of the eyes and may slow the onset of cataracts. Sources of selenium include Brazil nuts, brown rice, enriched noodles and seafood such as salmon, crab and shrimp. The RDA is 55 mcg / day. Bioflavonoids are a group of plant pigments found in flowers, tea, bilberries, cherries, legumes, blueberries, soy products, vegetables and citrus fruits. Flavonoids seek out and destroy oxidants and as such may protect the eyes against early onset cataracts and macular degeneration.